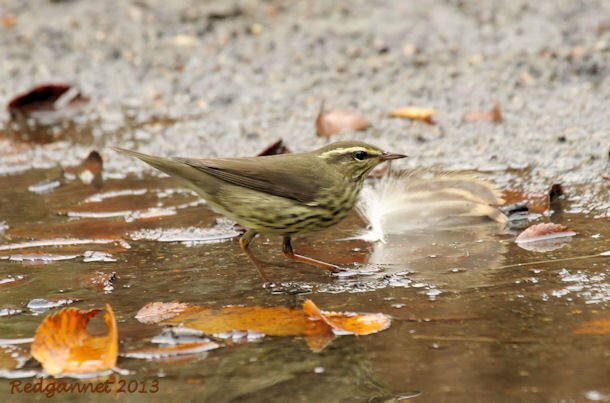 Waterthrushes are birds that have frustrated me for some time. They don’t like to sit still for long and my attempts at photos are commonly blurred by movement. Not only are the birds perpetual fidgets, they also like to flirt along the edges of shady streams, so the movement is also compounded by the low light shakies. A recent trip to New York’s Central Park brought an opportunity to catch one out in the open by the shallow end of The Pond in the southeast corner of the park. It was feeding along the edge of an exposed bar on the ice-skating side of the bridge. Even so, the day was overcast and I had to whack the ISO up to 1250. The pictures don’t stand up to close scrutiny, so sit back a bit. 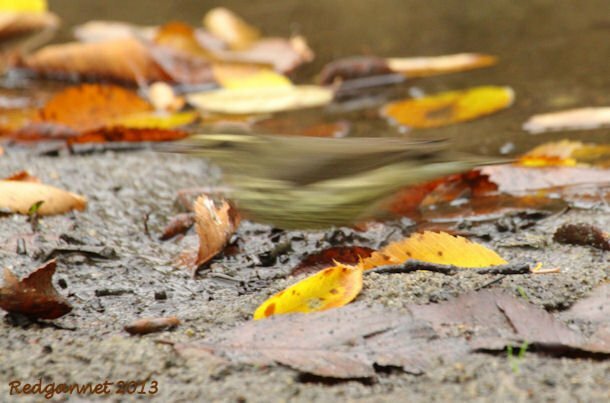 The two North American species migrate at different times through Central Park, though there is some overlap. 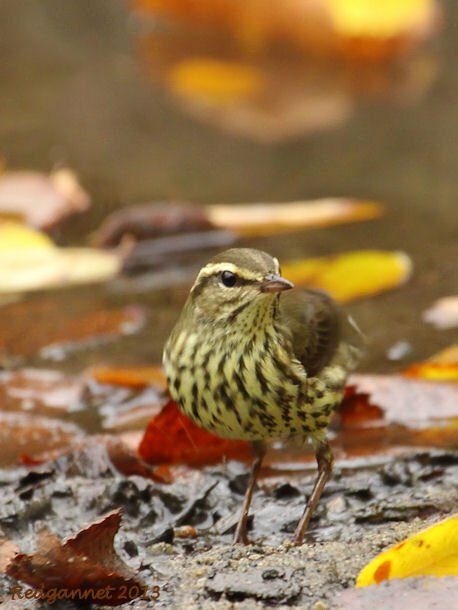 Louisianna Waterthrushes tend to be seen from the beginning of April with the Northern Waterthrush lagging up to two weeks behind. 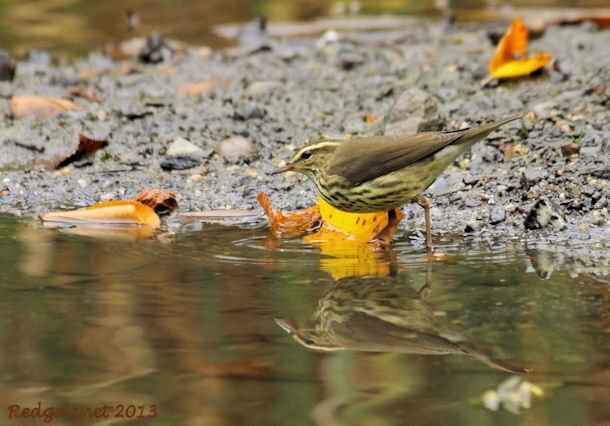 The Northern Waterthrush kicks off the return journey and its protracted migration lasts well into October. 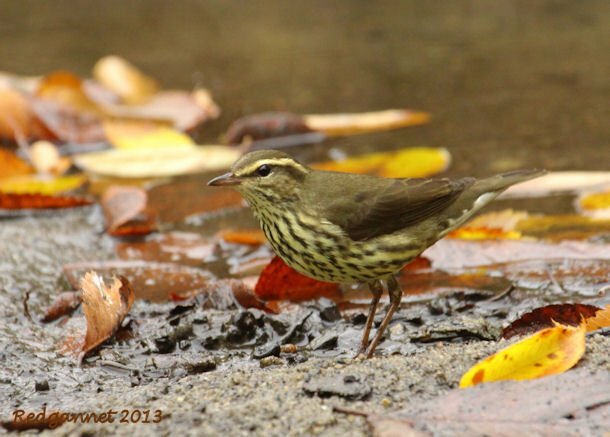 By contrast the Louisianna Waterthrush is seen briefly through August and in much lower numbers. 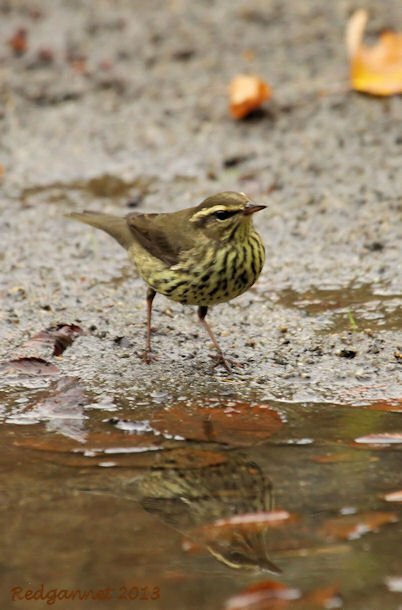 Identification can sometimes be tricky, but I was lucky with this Northern Waterthrush as it showed the yellow wash and spotted throat that made for easy confirmation. In the absence of such an easy call, I watch for the flirty tail movements. The Northern bobs its tail rapidly up and down while the Louisianna waves it more slowly from side to side. Thanks for your amazing photos of such a challenging bird to photograph. They are beautiful!